Seattle Parks and Recreation will shut off the lights at most outdoor lighted tennis courts for the winter on Nov. 3, 2014. This is an effort to create energy savings during the months when few people play tennis outside. Winter play is also available at the Amy Yee Tennis Center’s indoor courts. For information, please call 206-684-4764 or go to http://www.seattle.gov/parks/Athletics/Tennisct.htm. For information about the Sandpoint Tennis Center at Magnuson Park please visit http://tenniscentersandpoint.com/. For the full listing of Seattle Parks tennis courts, please see http://www.seattle.gov/parks/tennis.asp. Parks will turn the lights back on when we return to Daylight Savings Time in March 2015. Other sports programs don’t make kids play on adult fields with adult equipment and now neither does tennis. Seattle Parks and Recreation continues its play-based tennis league for youth with little or no experience playing tennis on June 23rd at 15 community centers across the city. This summer’s “QuickStart” league will consist of two age brackets: 7-8 year-olds playing on a 36-foot court (a standard court is 78 feet long) and 9-10 year-olds playing on a 60-foot court. All equipment and supplies will be provided. The league fee is $35 per player for the eight-week program. This year’s 2014 QuickStart Tennis League is proudly sponsored by BECU. Practices/matches are on Mondays and Wednesdays from 6 to 8 p.m., depending on age. QuickStart Tennis starts June 23 and concludes on Aug. 13 with a jamboree fun play day at the new Tennis Center Sandpoint. Sign up at one of your neighborhood community centers or online using your SPARC account. Parent participation is highly encouraged, as this is a family game! 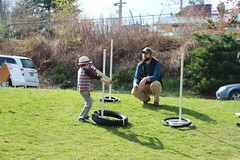 For more information, please contact Jeannie Shek, Seattle Parks and Recreation, at 206-684-4764 or jeannie.shek@seattle.gov. “QuickStart tennis” is a concept that was developed by the United States Tennis Association (USTA) as an introductory program designed to get youth playing tennis quickly. Check out their website www.10andundertennis.com to learn more about the concept. In five years the program has introduced more than 600 kids to the game of tennis in a fun learning environment with the help of more than 80 volunteers. One final note: Volunteer coaches and parent managers are needed! This helps keep league fees low. Volunteers can be tennis enthusiast, parents, fans or anyone that loves helping kids succeed. No tennis or teaching experience is required – just a passion for working with kids! There will be two FREE QuickStart volunteer on-court trainings on Saturday, June 7, from 2:30-5:30 p.m. at the Tennis Center Sandpoint and Monday, June 16, from 6:30-9:30.p.m. at the Amy Yee Tennis Center. Seattle Parks and Recreation will shut off the lights at most outdoor lighted tennis courts for the winter on November 4, 2013. This is an effort to create energy savings during the months when few people play outside. Parks estimates the savings from turning these lights off to be about $15,000. Winter play is also available at the Amy Yee Tennis Center’s 10 indoor courts. For information, please call 206-684-4764 or go to http://www.seattle.gov/parks/Athletics/Tennisct.htm. For information about the new Sandpoint Tennis Center at Magnuson Park please visit http://tenniscentersandpoint.com/. For the full listing of Seattle Parks tennis courts, please see http://www.seattle.gov/parks/tennis.asp. Parks will turn the lights back on when we return to Daylight Savings Time on March 9, 2014. Seattle Parks and Recreation along with the Rainier Community Center and Rainier Beach Community Center Advisory Councils have partnered with the United States Tennis Association (USTA) to provide tennis through Tennis Afterschool Zone(TAZ). TAZ provides an opportunity to be active, run, have fun and learn a sport of a lifetime. The program is facilitated by trained staff and available after school to students in 3rd – 5th grades. The advisory councils are committed to growing tennis and other healthy opportunities for students in southeast Seattle. Rainier Community Center tennis is offered on Monday’s from 3:30-4:30 p.m. and on Thursday’s from 3:45-4:45 p.m.
Other sports programs don’t make kids play on adult fields with adult equipment and now neither does tennis! Seattle Parks and Recreation continues our play-based tennis league for youth with little or no experience playing tennis. The United States Tennis Association (USTA) developed the concept of QuickStart tennis, an introductory program designed to get youth playing tennis quickly. Check out their website www.10andundertennis.com to learn more about the concept. In only three years Seattle Parks has used the program to introduce more than 450 kids to the game of tennis in a fun learning environment with the help of more than 60 volunteers. 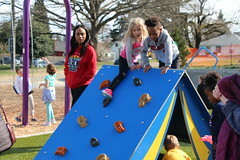 Sitting at home is not as much fun as getting out and playing, and Seattle Parks is putting outdoor play back in the spotlight! The league consists of two age brackets: 7-8 year olds playing on a 36’ court (standard court is 78’ long) and 9-10 year olds playing on a 60’ court. All equipment and supplies are provided. The league fee is $35 per player for the eight-week program. Practices/matches take place on Mondays and Wednesdays between 6 and 8 p.m., depending on age. QuickStart tennis starts June 24 and concludes on August 14 with a jamboree play day at the new Tennis Center Sand Point. Sign up at a Seattle Parks community center or online at www.seattle.gov/parks using your SPARC account. Parent participation is HIGHLY encouraged, as this is a family game! We need volunteer coaches and parent managers! This helps keep league fees low. Volunteers can be tennis enthusiasts, parents, fans or anyone who loves helping kids succeed. No tennis or teaching experience is required. There will be two FREE QuickStart volunteer on-court training sessions on Monday, June 10 from 6-9 p.m. and Sunday, June 16 from 9 a.m.-Noon at the Amy Yee Tennis Center, 2000 Martin Luther King, Jr. Way S. BECU proudly sponsors this year’s 2013 QuickStart Tennis League. 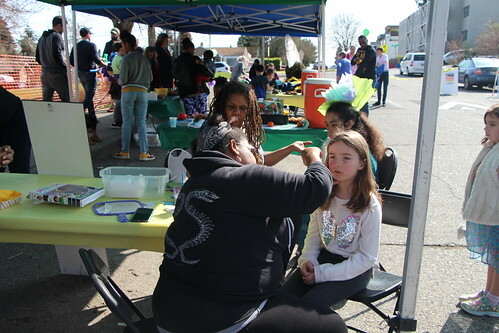 For more information, please call Jeannie Shek 206-684-4764 or email jeannie.shek@seattle.gov. Join Deputy Mayor Darryl Smith, Seattle Parks and Recreation, and Tennis Center at Sand Point, LLC for an official groundbreaking for Tennis Center Sand Point at 6 p.m. on Thursday, August 23 at Magnuson Park, 7400 Sand Point Way NE. At the groundbreaking, which will take place next to Building 41, officials from the city and Tennis Center at Sand Point, LLC will provide a history of support for the center, awards for key community members, and an opportunity to ask questions. The new tennis center, located between Building 18 (the old fire station) and Building 41, is a key element of the development plan for the Sand Point Historic District in Magnuson Park. A long time coming, this much-needed facility is scheduled to open its doors in August 2013. The history of support for a tennis center at Magnuson Park stretches back to 1973, and it was not until voters approved the 2000 Pro Parks Levy that funding became available for initial planning and design. That design, which would have cost $11 million, was completed in 2002, but there was no funding for construction. Parks and Recreation issued a Request for Proposals in 2004 in hope of attracting a private developer to build and operate the center. Parks received no proposals, and the supporters presented a scaled-down design to Parks in 2006. 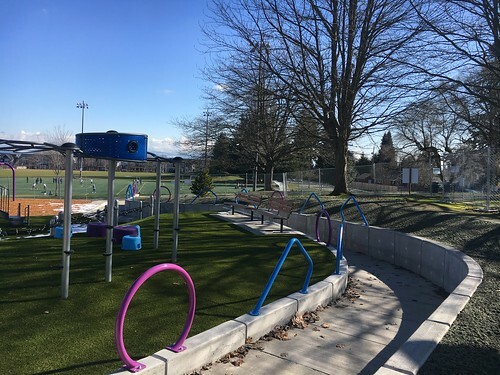 In a unique public-private partnership, the Tennis Center at Sand Point (TCSP) development team was granted approval to use the designated Magnuson Park, to raise private funding, to manage the development process, and to operate the new center. This public-private partnership will provide tennis services in the north end of the city. The Amy Yee Tennis Center at 2000 Martin Luther King, Jr. Way S has been in operation since 1977. While working on the lease, raising money and applying for permits, TCSP opened the Racquet Training Center at Sand Point (RTC) in Hangar 30 to test demand in the area, learn more about tennis programs people are interested in, and build a customer base. TCSP named the new facility Tennis Center Sand Point to honor the airfield that saw planes take off and land at various times for the U.S. Army, Navy, Marine Reserves and Pan American Airways from 1920 to 1970. •	On-court bleachers for close viewing. After many years of planning, construction begins this week on the Tennis Center Sand Point. This is project is a partnership between Seattle Parks and Recreation and Seattle Court Sports, Inc., and will be located east of 62nd Ave. NE, just south of NE 74th St. Construction is expected to take approximately nine months. Construction of this project will mean temporary changes to north-south traffic along Sportsfield Drive NE. Because of the tennis center footprint, Sportsfield Dr. NE will be realigned east toward the ballfields and will end at the existing intersection on the east side of Building 41 (Parks crew quarters). Parks anticipates that the north end of Sportsfield Drive NE will be closed for approximately three months. Signs will be posted for a detour route and will allow north-south traffic via 62nd Ave. NE. A tennis center is a key part of the development plan for the Sand Point Historic District in Magnuson Park. In 2008, the City Council authorized a concession agreement between Seattle Parks and Seattle Court Sports Unlimited (SCSU) for the construction and operation of the Sand Point Tennis Center. 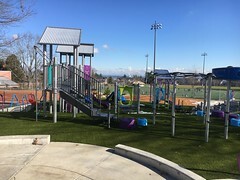 The $5.1 million in funding for the project comes from private investors in the project to Tennis Center at Sand Point LLC. 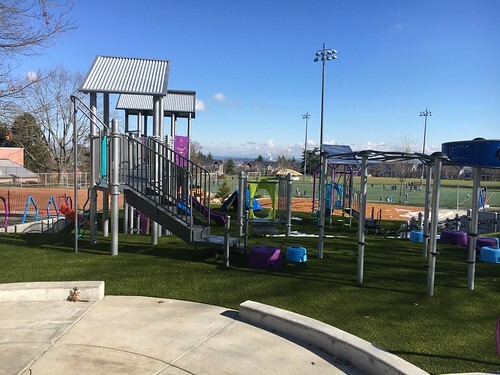 Seattle Parks and Recreation has reviewed and approved the documentation of financing for the project. The Sand Point Tennis Center, which will serve tennis enthusiasts of all ages, skill levels and backgrounds, will help alleviate the shortage of public indoor courts in the area by offering an affordable option for tennis enthusiasts of all ages and skill levels. The Center will offer free court time each week, youth scholarships and camps, and provide a practice and tournament venue for local schools. SCSU hopes that the Seattle community will be enriched through these increased recreational opportunities. This is an exciting time for both tennis players in Seattle and Racquet Training Center (RTC) players who have played in Building 30 for the past two and a half years. The RTC opened more than two years ago to offer tennis programs while planning for the larger center was under way. 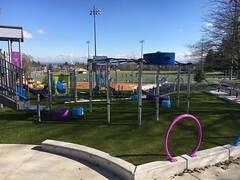 For more information, please visit the RTC website: http://www.seattletenniscenter.com/rtc/default.aspx. For additional information about the project, please see the website: http://tenniscentersandpoint.com/.